It was a major event in summer of 2013, and in the future, it may be called a milestone in American history: I’m referring to whistleblower Edward Snowden, who leaked classified information from the National Security Agency (NSA). He opened the eyes of many American citizens, who did not know that the NSA secretly collects large quantities of data about millions of Americans. If you are completely honest with yourself, you already suspected something about government surveillance before 2013; but most people tended to deny it, or not think much about it, because either they had nothing to hide or they didn’t want to know. Snowden knew the consequences of his actions. He was aware of the fact that once he published the information, his previous life is over. Yet he still revealed the classified information, because he felt the American people had the right to know how they were being spied on. He knew that he must leave the country immediately, and that he would probably never be able to come back and see his family again. But what many people don’t know is that Snowden’s actions didn’t just cause problems for the NSA and leave them with a lot of explaining to do; his revelations also affected governments worldwide, because secret intelligence agencies are somewhat connected, and many of them were suddenly confronted with a lot of questions from their citizens. I was affected by it too, in a way that I never expected. I am a student from Germany, and I was just attending college when Snowden came forward in 2013. It was a very exciting time in my life, and that’s why I remember the events very well. One day in particular is burned into my brain. I went home over the weekend to visit my family in the small village in Western Germany where I grew up, just a few weeks after Snowden’s leaks. My grandmother invited me for lunch, since she hasn’t seen me in a while. We were talking about the whole Snowden situation, and suddenly something occurred to me: there is one person in my extended family whose opinion I really wanted to hear, because he had to deal with it as part of his career. I’m referring to my grandmother’s cousin, my great-uncle Gerhard Schindler. You probably haven’t heard of him, but he was the president of the “Bundesnachrichtendienst” (BND) at the time. The BND is the German version of the NSA – an intelligent agency whose main purpose is national security– especially to anticipate and prevent terror attacks. A collaboration between the NSA and the BND has a long and proud history: for example, it was the BND, that provided American agencies with information that confirmed Al Qaeda’s involvement in the 9/11 attacks. Gerhard Schindler held the highest position at the German secret agency from 2011 to 2016. He was for Germans what Michael Rogers is today for America. Back to the lunch with my grandparents: I remember how we speculated whether Schindler might know more about this whole “scandal,” including facts that ordinary people like us didn’t know. Everybody in the US was shocked about the amount of information that the NSA collects about its own people. My first reaction was: “I hope, Gerhard wasn’t involved in anything like that. I hope he didn’t help American agencies to spy on European citizens as well.” But my hopes were squashed pretty quickly. In August of 2013, German media reported about the BND collecting mobile phone data of German citizens and giving it directly to the NSA. Even Chancellor Angela Merkel wasn’t an exception. Her phone was wire-tapped and her conversations were recorded and saved on NSA databases. This had a huge impact on American-German relations. While President Obama and Chancellor Merkel were very close allies for years, this surveillance put a strain on their partnership. Meanwhile, the German government arranged an investigation against my great-uncle, and under pressure from all the major German political parties, he had to resign. Thinking back on this whole story, it reminded me about all the globalized data collection that still goes on today. I understand that it is important for secret intelligence agencies to work independently, and I believe the government should not get involved in their important work. That’s one of the keystones of democracy. Of course, full transparency is a principle that these agencies cannot stick to, because that would affect their success in identifying terrorists. That is why it is difficult to come to a conclusion about Edward Snowden: some people think what he did was heroic, but others believe his actions were irresponsible and dangerous. As for me, I am glad he leaked the classified information. I’m glad that he sacrificed his personal life to tell the story he wanted to tell, to make the public more aware. But on the other hand, there is still the question of what role secret agencies like the NSA should play, and how much data should they collect. How much is too much? How much is necessary in order to protect us from external and internal dangers, such as terror attacks? So, what did we learn from the game-changing moment, when Edward Snowden let us know what was going on in secret? I agree that we should be thankful for the technologies and strategies intelligence services use to keep us safe. But it gets problematic when those services abuse their power to spy on foreign, allied governments, or practice economic espionage and jeopardize diplomatic relations. And I am also concerned about spying by corporate businesses like Google or Facebook. How much of our data do they collect? At this time, we really don’t know. 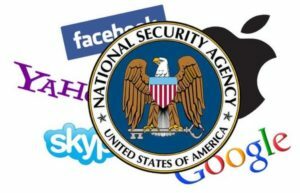 In my opinion, American lawmakers and the European Union should work on regulations that limit the possibilities of abuse, whether by the NSA or by corporations. Otherwise, global players will continue to collect data from their users, and we will not know enough about what is being done with it.